Love is kind: Use a word that would describe your nature. The word kind is one of those words that has many meanings. If you would reference someone as being kind, for the most part people would think you are saying that the said person is friendly or considerate. If one was speaking as an asthmatic, one could say a dry climate is kind to asthmatics, meaning a dry climate is beneficial. With this definition of kind as meaning beneficial, would people consider you beneficial to their life? If you were to blend the two definitions together, would people describe you as a person that generously adds to other’s lives emotionally or spiritually? About five years ago, I started asking God for people to see me as kind. Last year, when I walked up to a group of ladies, I introduced myself. Immediately one of the ladies stated, “It is very nice to meet you. We were talking about you the other day and what a kind lady you are.” You will never convince me that God did not answer my prayer. Of course, it is through repeated actions that people label us and not on our words. Hollow or empty words harm our reputation. What the ladies were referring to, I really do not know and I did not ask. I was too busy celebrating in my heart for the ladies’ words. The celebration was because, I know the wicked side of me. (Psalms 14:3, Romans 3:12) The only good that pops out of me is because of God and His word living inside me. When God says, “We reap what we sow,” this is not just referring to the negative in our lives. 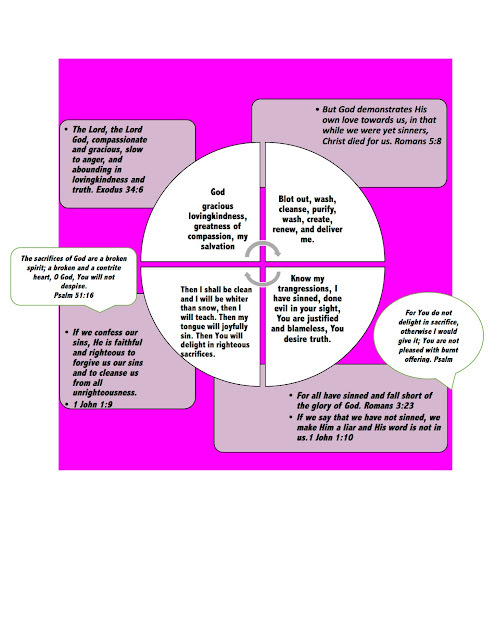 (Galatians 6:7-8) When we sow God in all aspects of our lives, then God will be seen in our lives. Kindness for me is something that God had to plant in my life. Now, I am going to ask you, what word would you like people to describe you as, in the future? Reputations are developed. It is silliness to assume that God is going to grant you and bestow on you a character trait. It is laziness to even think such a thing. I like to use an analogy that many can relate. If you had a child that demanded with words of entitlement, that you purchase them a pair of very expensive jeans, how would you respond? If you had a child that talked with you about a very expensive pair of jeans that they desired and requested that you helped them work toward acquiring those jeans, how would you respond? When God’s word informs us in Hosea 6:6 and Matthew 9:13, that God wants a heart-felt relationship with us, this means that God rejects all those “you owe me sacrifices” we claim. God is not a wish granter or a genie. God is the perfect Father that is going to develop strong characteristics into His children, so life does not consume us or worse, that our witness becomes discredited because of faint-heartedness. James 1:2-4 explains plainly how God develops in His children a Christ-like personality. I love that James 1:5 gives us full permission to ask for detailed instructions from God without reproach. Many of my prayers to God sound like this. “I don’t know what this verse looks like in action.” “I don’t know how to show love to them, what am I supposed to do?” My questions to God are endless concerning applications of verses. Please always remember All the ways of a man are clean in his own sight Proverbs 16:2a. That is why today’s society is plagued with this thought that words are as good as deeds. Christ followers are allowing each other to say a verse, praise each other and do whatever we want. It is the same thing in our Bible studies. When a Biblical question is asked a shallow “holy” answer is not only accepted but it is also praised. There is rarely an honest discussion about application of God’s word nor is there any real challenges made to discuss the real intent or motives behind our actual (not verbal) action. Now that we have covered a fair amount of Biblical information concerning love being kind, what changes are you going to begin to pray about in your life? When God begins to develop a strong-kind-character in you, are you going to recognize the process and grow or are you going to push against the trial and whine?